If you're longing for a Traditional floorplan this is it. Charming two-story Brick Traditional with 3 or 4 Bedrooms, Living Room, Dining Room, Den with Fireplace and All Seasons/ Sun Room. This is the perfect home for you to personalize. Located in Meadows Estates it offers the convenience of being minutes from Shopping and Schools. Outside you'll enjoy a small studio perfect for the budding artist or wood worker. This could be converted to a guest house. 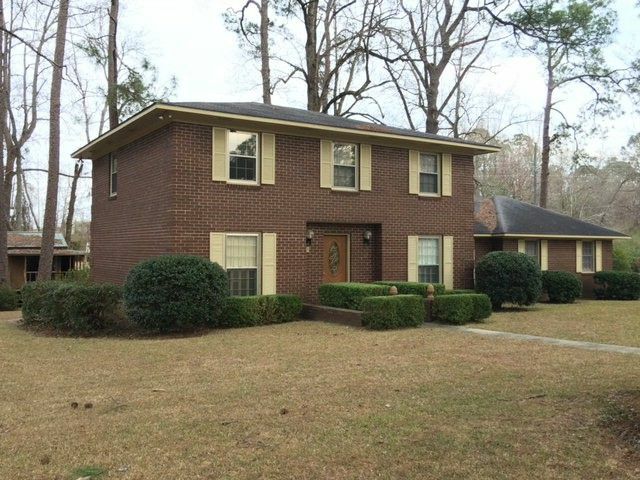 Call Tammie Gibbs @ 912-293-2899 to set up a private viewing. Directions: Take Hwy 280 to Slayton, Turn Right onto Slayton Street, Then turn left on Meadows Lane, House is on Corner of N Cheney and Meadows Lane.